The Picerne Group has strategically assembled an accomplished team comprised of industry leaders with extensive real estate investment, development and asset management experience. Prior to forming The Picerne Group, Mr. Picerne was involved in expanding his family’s company, Picerne Real Estate Group, from its New England base to the southwest and southeast U.S.. Under Mr. Picerne’s management, the family opened regional apartment development offices in Orlando and Phoenix that remain active today. Mr. Picerne also was directly responsible for the construction and development of 12,000 luxury apartment units in markets throughout Florida, Arizona, Nevada, Washington and New England. Today, the Picerne Real Estate Group is one of the largest family-owned residential real estate development groups and one of the top 10 residential multifamily developers in the nation, with more than 40,000 multifamily units and more than 2 million square feet of retail and office buildings. Since founding The Picerne Group in 1988, Mr. Picerne has established the company’s strategic direction and led the transition from one investment model to the next, in each case responding to changing market dynamics. In 2004, Mr. Picerne formed the Kenneth A. Picerne Foundation (www.picernefoundation.org) to support the development of innovative, creative and self-sustainable programs that focus on leadership, mentoring and education. Mr. Picerne received his undergraduate degree from Yale University. Throughout his career, Mr. Picerne has been recognized by the real estate community and city governments for outstanding contributions in development and design. He also has been honored for partnering with local governments to provide housing through the successful rehabilitation of distressed properties. In addition to his charitable contributions through the Kenneth A. Picerne Foundation, Mr. Picerne has served on numerous business and charitable boards. Gregory G. Nakahira is Chief Investment Officer for The Picerne Group. Mr. Nakahira oversees the access and deal-sourcing team. 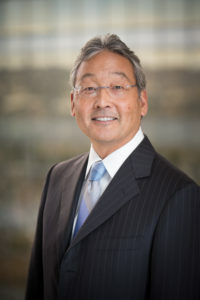 During his 20-year tenure with The Picerne Group, Mr. Nakahira has played a significant role in the growth and development of the company’s Japanese loan portfolio and U.S. real estate assets. Prior to joining The Picerne Group in 1999, Mr. Nakahira was with Goldman Sachs, opening its western production office for commercial mortgage-backed security lending. Mr. Nakahira also spent 10 years with Heller Financial as a leading investment officer, placing equity investments in real estate transactions in the western U.S.. During the recession of the early 1990s, Mr. Nakahira led a team of portfolio managers at Heller that was responsible for a $500 million portfolio of real estate investments. Mr. Nakahira holds a master’s degree from Long Beach State University and a bachelor’s degree from the University of California, San Diego. 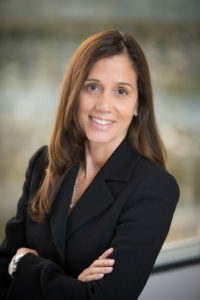 Leslie Corea is Chief Operating Officer of The Picerne Group. Ms. Corea oversees Corporate Services, Cash Management, Accounting and Financial Reporting for the organization collaborating with Development, Construction and Asset Management groups. Prior to joining The Picerne Group in May 2016, Ms. Corea was Senior Vice President Finance, Investment Properties Group of The Irvine Company. During her 12-year tenure at The Irvine Company she held leadership positions in Apartment Properties, Office Properties, Strategic Planning and Investment Properties Group providing corporate financial reporting oversight over all major operating divisions. 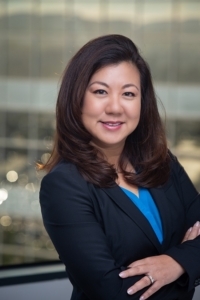 Prior to The Irvine Company, Ms. Corea was Corporate Controller, Douglas Emmett Realty Advisors, a privately held Office Properties investor in West Los Angeles, for 10 years. Ms. Corea was a Senior Real Estate Audit Manager at PricewaterhouseCoopers for 10 years serving private real estate clients. Ms. Corea is a CPA and a graduate of the University of Southern California. 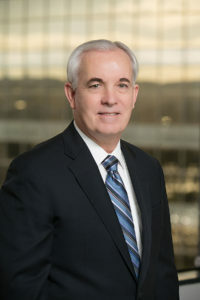 Derek Picerne is Senior Vice President of Development for Southern California. He leads a team that sources and manages apartment development opportunities in southern California. Mr. Picerne joined The Picerne Group in 2010. Prior to joining The Picerne Group he worked for Lauth Property Group in Phoenix, Arizona and at Northmarq Capital. Mr. Picerne received his bachelor’s degree in Marketing from the W.P. Carey School of Business at Arizona State University. Len Moreau is Executive Vice President of Construction at The Picerne Group. 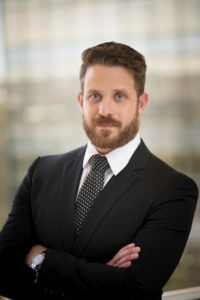 Mr. Moreau is responsible for overseeing all aspects of the construction process throughout the company’s portfolio including preconstruction management, project construction and delivery. 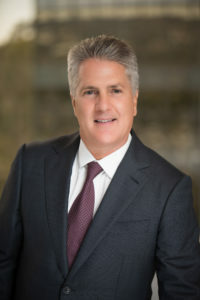 Prior to joining The Picerne Group in November 2016, Mr. Moreau was Vice President of Design and Construction at Johnson Development Associates since 2014. Prior to that, Mr. Moreau was Senior Vice President of Construction with The Irvine Construction. During his 13-year tenure at The Irvine Company, Mr. Moreau oversaw construction of approximately 20,000 apartments in Southern and Northern California. Mr. Moreau graduated with a Bachelor of Arts Degree from Saint Michaels College in Vermont. Yunmi Martin is Executive Vice President of TPG Property Group. Mrs. Martin is responsible for overseeing all aspects of The Picerne Group’s multifamily portfolio Operations, including Asset Management, Revenue Management, Marketing, Facilities, Capital Improvements, and Staffing. Yunmi has almost three decades of multifamily experience in operations and asset management. Prior to joining TPG Property Group, she led the Multifamily Operations at Shea Properties as Senior Vice President. Prior to Shea, Yunmi held various leadership roles at Irvine Company Apartment Communities, including Portfolio Vice President of Asset Management, where she was responsible for the company’s redevelopment and reinvestment strategies, and Vice President of Operations, managing 15,000 unit stabilized and lease up portfolio in Southern California. Yunmi attended University of California, Irvine majoring in Social Ecology, holds a CPM designation, and serves on the board of California Apartment Association Orange County.